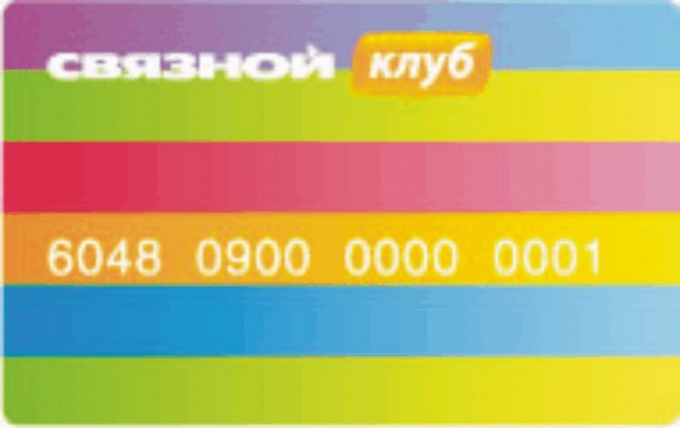 How to check the balance on the card, "Letual"
The programme Svyaznoy-club allows you to accumulate points, having the purchase of goods in shops-partners a special card. Points can be used to obtain discounts at shops participating in the program. Go to the website Svyaznoy-club www.sclub.ru. At the top of the screen you will see a purple stripe with the orange "Register" button. Click on it if you were not previously authorized. On the page a form will appear for registration, in separate fields, enter the login (it consists of 13 digits printed on the reverse side of the card under the bar code), your date of birth in the format DDMMYY, for example, 300484. Below, write your preferred password and repeat it. Specify the email address. You will receive a confirmation of registration, please follow the link. At the top of the screen will show you your name, which you gave to your employee lounge of communication when filling out the questionnaire. Next to the treatment you will see the balance of the card in points, in parentheses will be indicated the ruble equivalent of the discounts that can be obtained from program partners. Use the option "remember password" if you receive it, but forgot. To do this, go to the website, at the top of the page to the left of the button "Register", find the question mark. Hover over it, you will see a pop-up window, click "Remind password". Please request a password recovery by entering the card number, printed on the reverse side and consisting of 13 figures, in a special field. The email address linked to the card, you will receive a message with a password. For password recovery you can contact the support by phone 8-800-700-53-53. The call is free. Enter the received password and a 13 digit card number (or linked to email address) in the appropriate fields at the top of the page www.sclub.ru. To check the accuracy of calculating the points for the payment of goods and services in the horizontal menu, select "Your account" in the appearing window "transaction History".